The StreetScooter WORK XL is based on a Ford Transit chassis. FRANKFURT -- Ford has started production of an electric delivery van in Germany using technology provided by Deutsche Post startup StreetScooter. The StreetScooter WORK XL is based on Ford's large Transit van built in Turkey. It is equipped with a battery-electric drivetrain and body designed with the help of StreetScooter. Annual production capacity will reach 3,500 vehicles, which will be built at Ford Europe's headquarters in Cologne. 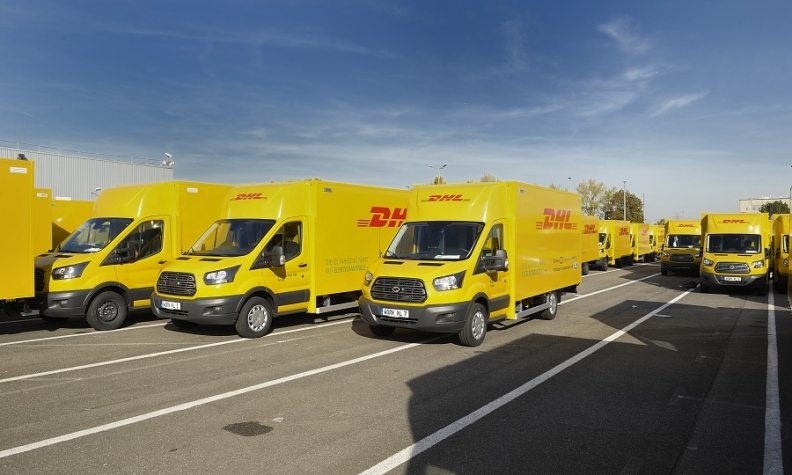 The vans will initially be supplied to its DHL Group but will also be offered to third-party customers. In a news release Ford said it will build the the van with a range of electric motors and lithium ion batteries, delivering up to 90 kilowatts of power (122 hp) and a maximum torque of 276 Newton meters. With a battery capacity of up to 76 kilowatt-hours, the WORK XL has a range of up to 200 km (124 miles), Ford said.